The current economy has wreaked havoc on many people. Many people, even those who previously had stellar credit, have seen their credit scores plunge and they are still suffering the effects of bad times with bad credit. But there is hope. There are some things you can do to repair your credit. But first there are a few things that you should never do. In no particular order but numbered for efficiency sake below are some of the six worst mistakes. 1. 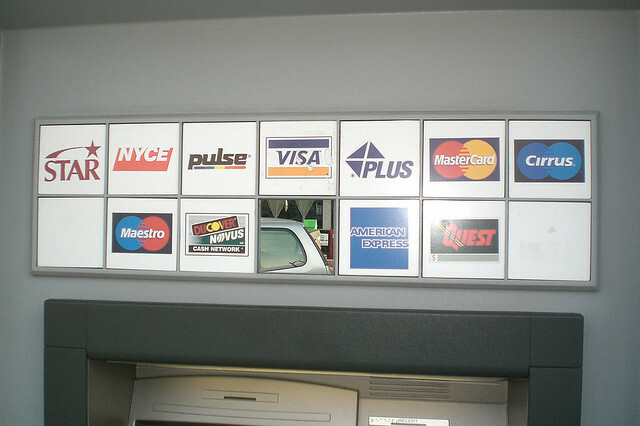 Biggest Credit Mistake – Canceling your credit cards. It may seem counter-intuitive and if you are thinking in pure personal economic terms it is but the fact is you should never cancel a credit account. The reason why is because of the debt to available credit ratio, which accounts for as much as 35% of your credit score. See in order to have great credit you need to have access to credit but not be using it. The more credit you have available the better, so long as your debt does not exceed 20% of the amount available. 2. Biggest Credit Mistake – Avoiding new credit. After hard times, there are many people who would just as soon use cash for everything or not have it but if your goal is to get your credit score back, you have to get back into the game. If you are unable to qualify for a regular credit card or line of credit, you should definitely be able to get a secured one. You will put a certain amount of money into an account that will act as security, then you make payments just like you usually would. Within a short period of time, you should be able to convert the account back to a regular type account and you can get your security money back. 3. Biggest Credit Mistake – Maxing out any revolving credit line. See mistake number 1 for review. Anytime you go over 20% of your available credit limit your credit score will take a hit. We cannot stress enough how important this debt to available credit ratio is for your credit score. Don’t max out your cards. 4. Biggest Credit Mistake – Ignoring your credit report. You have the right to a free copy of your credit report from each of the main credit reporting agencies, one time each year. It has been estimated that as many as 79% of all credit reports contain errors. Yours probably does too. Check it regularly. 5. Biggest Credit Mistake – Not enforcing your rights. If you receive a collection letter from a collection agency you have the right to request proof that they have the right to collect on the account and that they have the proof that you owe the account. After all, you never contracted with a collection agency, you only contracted with the original lender. However, you only have 30 days from the time they send the letter to do this so time is of the essence. Also, there is a Statute of Limitations on debts and it varies between debt type and from state to state. If it is past the Statute of Limitations, the collector cannot legally contact you anymore and you can send a cease communications letter and they cannot bother you again. Also, negative listings on your credit report can only stay on there for a specified period of time. Be sure that items that are past the Statute of Limitations are not bringing your score down. 6. Biggest Credit Mistake – Not taking advantage of credit repair techniques. The Fair Credit Reporting Act gives you the right to pursue credit repair and while completely correct information should stay on your account, anything that is incorrect, imprecise, or erroneous in any way can be disputed and may be able to be deleted. A good credit repair law firm can advise you on your best solutions for credit repair, get your free consultation today. What credit mistakes have you seen? One Response to "Six Biggest Credit Mistakes"